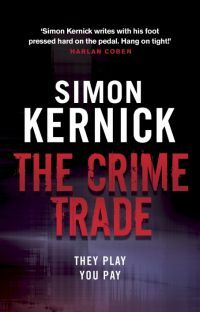 Well, Tina Boyd, her first case in the series is given with The Crime Trade by Simon Kernick. I was always curious about this series and finally got around to start with number one. And quite right from the beginning I had my suspicion about who was behind the initial incident written in the book. But I was wrong. The novel is very well written and a pacy and gripping read, no surprise here, this is a Kernick book. In the beginning, a police sting operation goes deadly wrong, one of two cops participating dies and the hunt for the culprit starts. Meanwhile, some other murders keeps the investigators busy, which turn out to be connected somehow. While the main officer seems to be DI John Gallan, the core findings are by his partner DS Tina Boyd. The view of the story changes several times between the investigators and one subject, the surviving cop of the sting operation: Stegs Jenner. And to be honest, I wonder why the book isn’t subtitled “Stegs Jenner” instead of Tina Boyd, as Jenner and his point of view seems to take the biggest part of the book. The funny thing is that Jenner seems somewhat like Dennis Milne, an ex-cop and the protagonist of another series of Kernick. But things turn out to be quite different in this case. Overall I loved this story. I am curious about the follow-ups and hope to learn more about Tina Boyd and hope she has a more present role. I’ll see, one day or so.